Grand Prize (1 Grand Prize winner): The Grand Prize consists of a 3-day/2-night trip for the winner and a guest to Los Angeles, CA to attend a live taping of an episode of the Show during the Spring 2019 season. 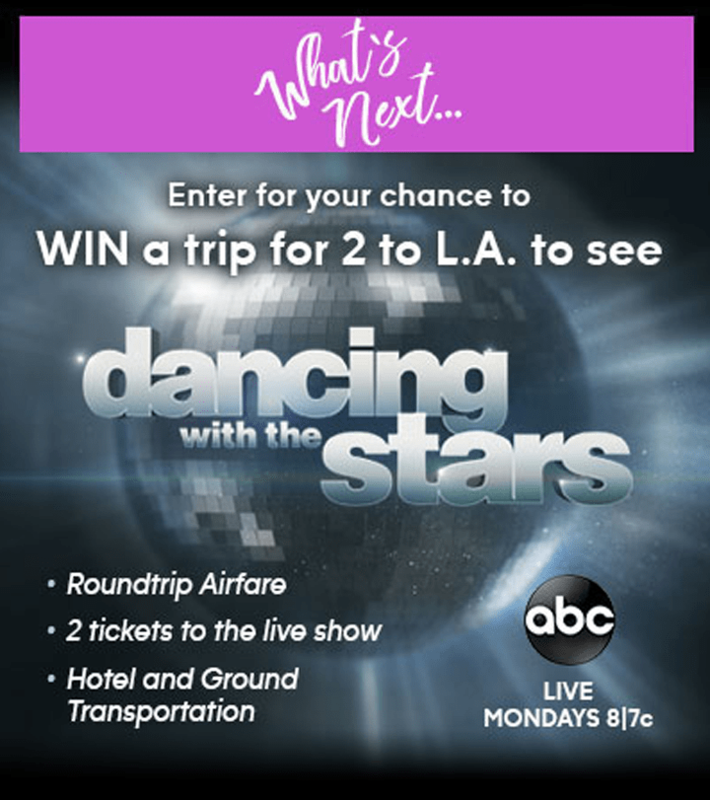 The Grand Prize Trip includes: two (2) admission tickets to a taping of Show in Los Angeles during the Spring 2019 season; two (2) nights hotel accommodations at a Los Angeles area hotel selected by ABC in its sole discretion; roundtrip coach air transportation for two (2) to Los Angeles from a major airport near winner’s residence to a Los Angeles area airport selected by ABC; roundtrip ground transportation to/from the Los Angeles area airport and hotel; and ground transportation to/from Los Angeles hotel and Show taping. The What’s Next Sweepstakes is open only to legal residents of the 50 United States and Washington D.C. who are at least 18 years of age. The What’s Next Sweepstakes ends at 11:59:59 p.m. ET on November 25. Navigate the Internet to WinWhatsNext.com to submit an entry. Limit one (1) entry per person per day.